Armed with nothing more than a small, rickety fishing hut and his Bible, Aldi Novel Adilang survived 49 days at sea after an intense storm tore his tiny boat — a “rompong” — away from its anchor. The 19-year-old teenager even recalled being circled by a shark at one point during his 1,600-mile journey from Indonesia to when he was discovered a few weeks ago not far from the U.S. territory of Guam, NBC News reported. Adilang was contracted to work on the rompong, where he lit lamps around it every night in order to attract fish. He worked the job for six months, and every week, the boat’s owner would send someone to collect the fish and replenish the supplies Adilang needed. A teenager survived 49 days at sea after a storm ripped his tiny vessel from its moorings and set him adrift into the Pacific Ocean. Aldi Novel Adilang was rescued earlier this month near the U.S. island territory of Guam. 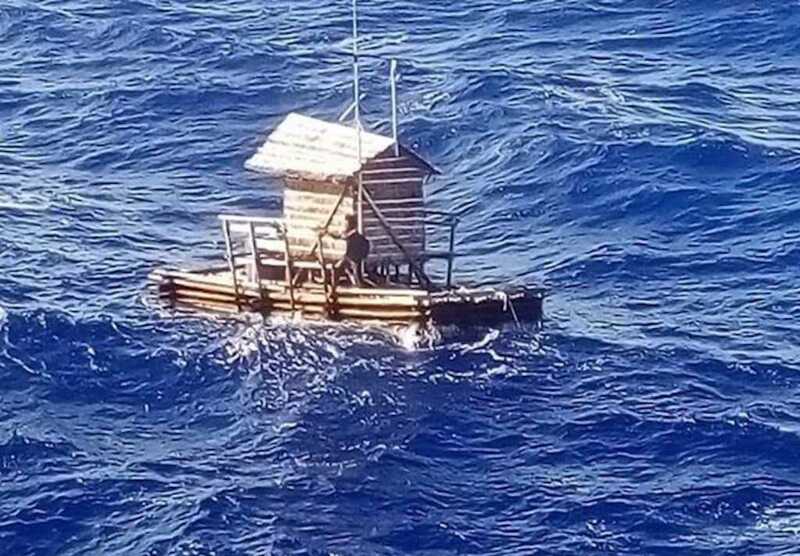 Then on July 14, a powerful storm ripped the little shack from its moorings and sent the teenager on a harrowing odyssey that lasted until Aug. 31, when the crew aboard a freight ship heading for Japan spotted him. At one point during his dangerous journey, Adilang ran out of cooking gas and was forced to burn the rompong’s wooden fencing to make a fire for cooking. He also drank water by sipping on his sea-drenched clothes. The Panama-registered freighter finally noticed him and helped him. The crew gave the young man a towel, food and fresh clothes. The cook on the ship even gave Adilang a haircut. He finally arrived safely in Japan on Sept. 6 and made it home on Sept. 9. Adilang told local reporters he developed a routine when he was on the fishing hut, a large part of which centered on his faith. He would spend his mornings catching fish and then read his Bible in the afternoons. He also fashioned a makeshift shower using sticks of bamboo. When he was being circled by the shark, Adilang said, “I could only pray that the shark went away.” His faith, he said, kept him alive. Adilang is reportedly in good health following his rescue.